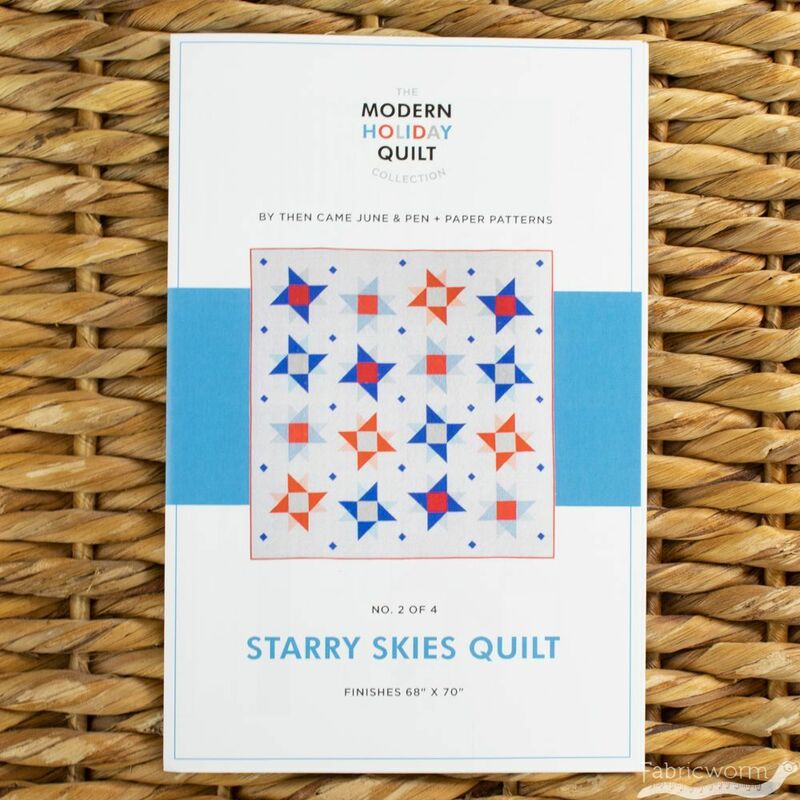 The Starry Skies Quilt Pattern by Then Came June and Pen + Paper Patterns is part of The Modern Holiday Quilt Collection. 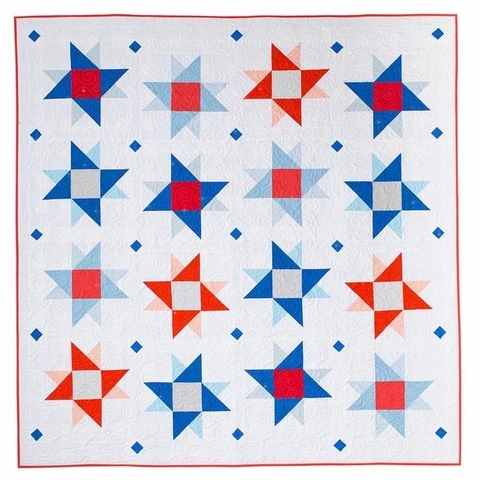 The pattern is a fun modern take on a Independence Day star quilt. 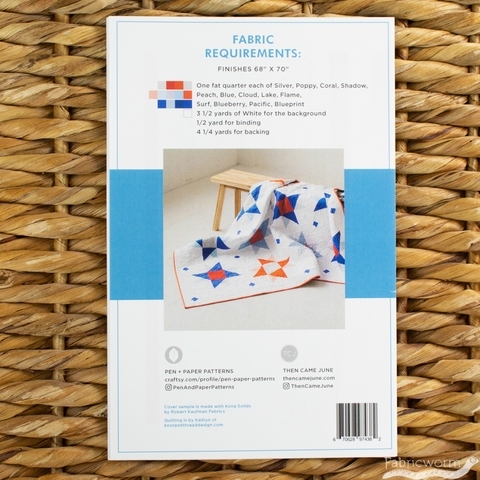 It is block based making for a fast finish and beginner friendly. 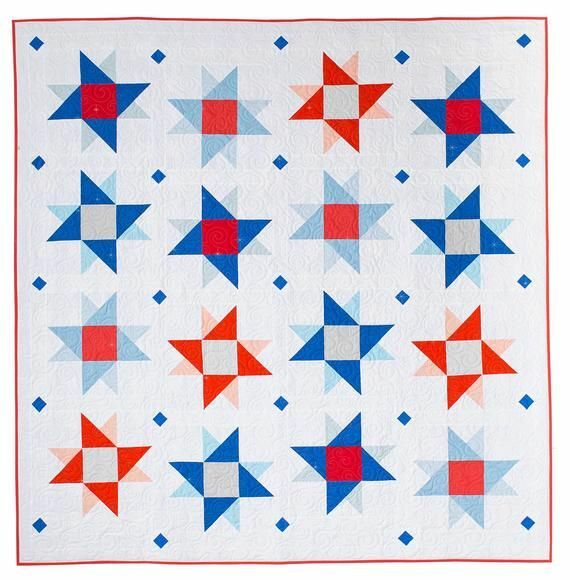 Having the stars offset reminds us of a night sky.